Dr. Yuichi Kondo is a distinguished alumnus of the College of Liberal Arts. He earned his master’s of speech communications in 1982 and his doctorate in speech communications in 1993. 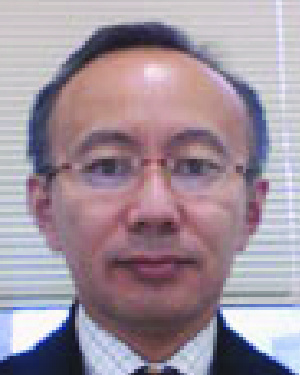 Dr. Kondo is currently a professor and associate dean at Ritsumeikan Asia Pacific University in Beppu, Japan. Early in his career, Dr. Kondo was a major force in the creation of the Japanese Network of International Educators (JAFSA), which was modeled after NAFSA: Association of International Educators, a U.S. based organization for international education professionals. He has worked to shape the Japanese perspective on intercultural relations and has pioneered the institutionalization of this new field in the form of university structures, new positions, establishment of new professional associations, and the development of cross-cultural training. Dr. Kondo’s accomplishments and impact within the field of international education and intercultural relations are impressive. Throughout his career he has diligently worked to create international education experiences inside and outside the classroom for students and to provide international education professional development opportunities for faculty and staff. Dr. Kondo’s record of research in books, papers, research reports, and presentations is outstanding; he is respected by his peers and widely consulted for his expertise. Dr. Kondo has fostered and mentored professional organizations for international education professionals in South Korea, China, and Thailand. Dr. Kondo’s steady commitment to development of people and institutions has become his professional signature. He has achieved a reputation as an expert in the field of international education and cross-cultural education not only in Japan but also around the world. In naming Dr. Yuichi Kondo as a recipient of the Distinguished Leadership Award for Internationals, the selection committee cited his impressive accomplishments and impact within the field of international education and intercultural relations. A colleague described Dr. Kondo as the most cross-culturally sophisticated person who has helped to shape the Japanese perspective on intercultural relations. Dr. Kondo credits the University of Minnesota for his success in the field of international education and cross-cultural education and the quality of education he received.